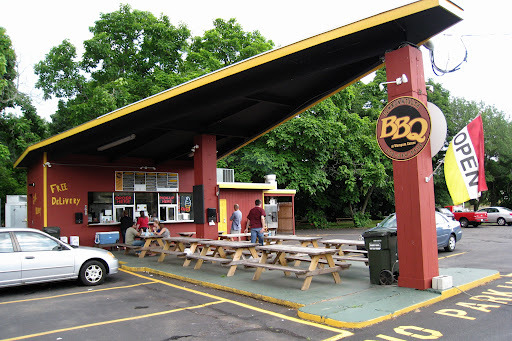 In late summer 2011, I stumbled upon Commonwealth Barbecue in Wrentham, Massachusetts. My boyfriend and I were about to drive down to the Cape and stopped on a whim at this little roadside barbecue shack off Route 1A. We’ve become regular customers. I have mixed feelings about barbecue. When done well it’s fantastic, but more often problems outnumber the successes. The nachos are loaded with too much synthetic cheese goop and not enough sour cream. The corn bread is dry and lacks flavor. The pulled pork is drenched in barbecue sauce. And my skepticism isn’t helped by the unspoken rule that every New England summer get-together must feature barbecue, regardless of whether anybody knows how to do it. So when the opportunity comes up to try a new barbecue place, I am always hopeful yet inevitably skeptical. I’ve had good experiences at Redbones in Davis Square, but it’s a long drive from my home, parking is always a mess, and they are overwhelmingly crowded. So when I discovered that Commonwealth Barbecue, nestled in the suburbs with plenty of outdoor seating was GREAT, I was happy. My favorite is the “Commonwealth sandwich,” pulled pork and cole slaw on a bun with a side of French fries. Nice and simple. 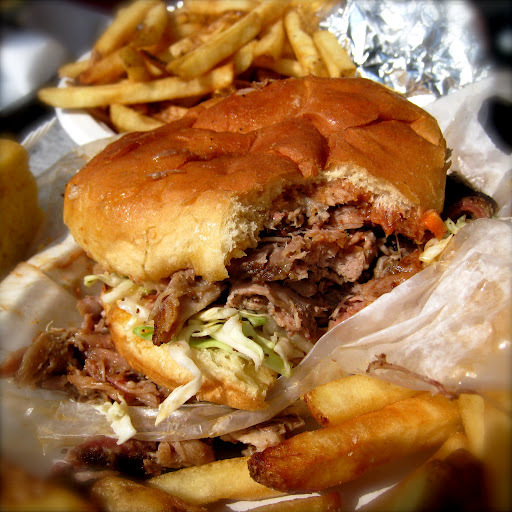 The “Commonwealth sandwich”: pulled pork and cole slaw on a bun. So often, barbecue cooks will mask the flavor of the meat by assembling a sandwich that is equal parts pork and Sweet Baby Ray’s. But not at Commonwealth. 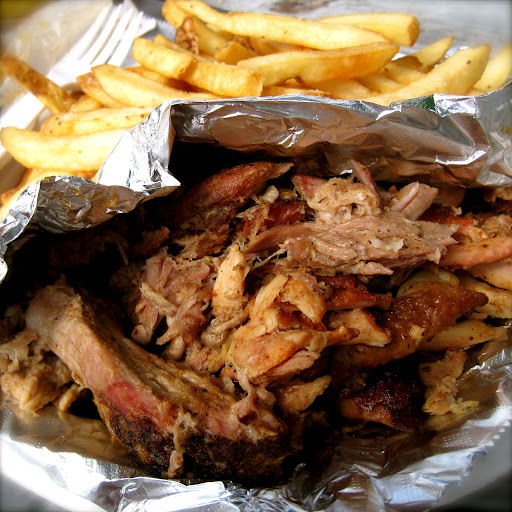 The default barbecue sauce is bare-bones (ha), allowing the slow-cooked pork to have its own voice. I love this, when cooks exhibit confidence in having executed simple ingredients and choose not to crowd them with too many other flavors. That being said, if you’re a fan of barbecue sauce? Commonwealth has you covered. You will find large bottles of homemade sauce in four different flavors, available on the counter so you can squirt as much or as little as you like. I would note here that although my boyfriend is an anti-sauce crusader, I catch him filling cups at Commonwealth. My personal favorite is “Lee’s original slammin’.” I bite into my pulled-pork sandwich and chase it with a French fry covered in homemade sauce…yummmm. The pulled-chicken-and-pork platter is also delicious. 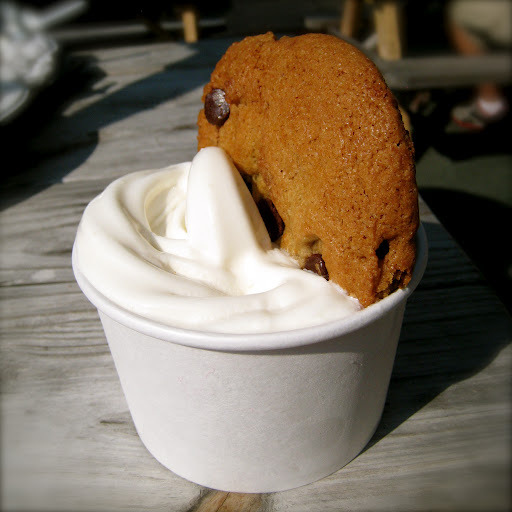 And on a hot day, don’t forget to finish with a cookie and some soft-serve vanilla ice cream. Cookie and soft-serve vanilla ice cream. Commonwealth’s roadside shack is open seven days a week year-round. In summertime I sit outside on the picnic tables, and I eat in my car in the winter. In addition to doing free local delivery and take-out, I understand they also do some catering for tailgates. If I ever had the occasion to use this service, I absolutely would. I have had consistently excellent experiences at Commonwealth. The staff are always polite, friendly, and competent, both on the phone and in-person. The owner takes a genuine interest in his customers, making a point to greet them and ask if they’re enjoying the food. And above all else, the food is cheap, convenient, and high-quality. (Isn’t that what everyone looks for in dining?) Stop by sometime if you get the chance, and don’t forget to check out their Facebook page!